Online and Phone sales for this event have ended. Tickets will be available for purchase at the TCF Bank Stadium Box Office starting at 12:00pm CT. 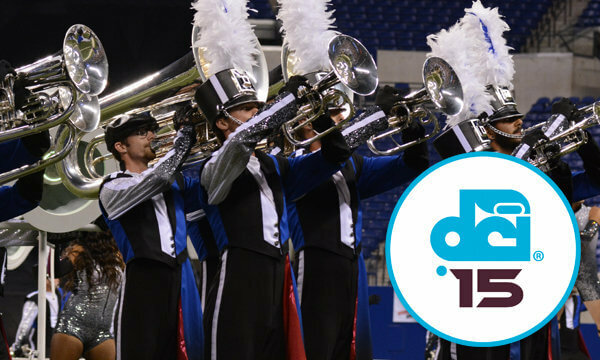 The Drum Corps International Tour will make its triumphant return to Minneapolis on Saturday, July 11, for the 2015 edition of DCI Minnesota. The University of Minnesota’s TCF Bank Stadium will be the site of this event, that will feature the largest lineup of World, Open and All-Age Class drum corps to take the field up to this point in the summer season. Groups of 20 or more receive a $15 discount in the Premium (Blue) sections. ** Prices do not reflect additional handling fees. Step-off times listed in reverse order and are subject to change. Times are listed in Central Time. Row 1 is closest to field. For Sections 141 - 144, 241-244, and Club 3 and 4, seat #1 would be closest to the 50-yard line. For Sections 137-140, 237-240, and Club 1 and 2,, the higher numbered seats are closer to the 50. ADA seating is located in the top rows of sections 137-142 and in the first row of sections 141 and 142..
To purchase accessible seating,group tickets, suites, or loges please call the DCI Box Office. 317.275.1212. *Individual ticket prices do not include $4.95 processing fee and $2.00 facility fee added during completion of order. **Group tickets have $2 processing fee and $2 facility fee per ticket added during completion of order. This results in a total savings of $17.95 per ticket compared to individual purchases.